By improving your technology, you can get better insights into supply chain performance and refine or automate your operations. 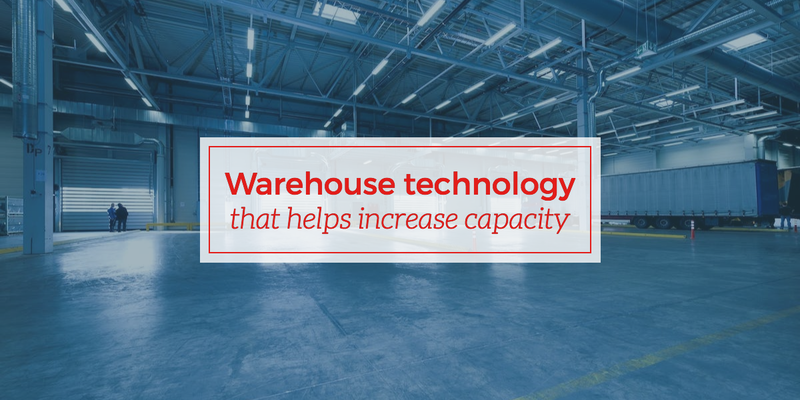 Let’s take a look at which warehouse technologies will deliver the biggest boost to productivity and make your job the easiest. Warehouse management software (WMS) tracks important metrics and automates administrative tasks, such as sending bills of lading. Measuring performance through a WMS can help you track employee output and maximize profit margins. First, use a WMS to establish baseline employee-production metrics like output per man-hour, cost per unit shipped, and capacity utilization. Then, use this information to compare landed costs with your service prices to identify areas to improve profitability. WMS can also help you manage warehouse space better by tracking stock turnover rates, expiration dates, and product locations. Use this data to put fast-moving inventory near docks or in other easy-to-access locations. Lastly, WMS boosts warehouse security and visibility, because each staff member requires a unique login to make changes to inventory records. This meticulous tracking of stock can help you identify theft—both internal and external. Gauging inventory levels also helps you keep enough stock to fill demand while avoiding the storage of dead inventory. Warehouse workers walk an average of five miles per day and must keep accurate records of each pallet or box they move. When you limit data recording to a stationary desktop, it slows down workers and increases the odds of inaccuracies. Remove this bottleneck by giving employees portable and voice-activated technology. This “pick-to-voice” tech integrates with your WMS to give employees audible instructions on which items to pick. After a pick, the employee confirms their actions by speaking into the device, which then automatically updates the warehouse records. This immediate feedback reduces picking errors—a problem that costs an average of $59 per mispick. Voice tech eliminates the need for physical paperwork and tedious recording, saving hours of labor. Workers keep their hands and eyes free so they can remain alert and avoid forklifts or other potential accidents. Warehouse barcodes are inefficient, inconvenient, and susceptible to environmental damage. With all these disadvantages, why not use radio waves? Radio-frequency identification devices (RFID) allow individuals to scan up to 200 tags at once. Faster scanning can reduce shipment-receiving times down to 30 minutes—a process that can usually take up to 2.5 hours with regular barcode scanning. Since tags don’t require line-of-sight, you can place them in more convenient locations, like inside a box or pallet. This lets you store cargo in advantageous locations without causing scanning problems later. Putting tags inside boxes also protects them from harsh weather and theft. Moving inventory with manual labor is error-prone, tedious, and time-intensive. Today, workers can use robots to help pick, store, and optimize warehouses with a process called picking automation. Two effective forms of picking automation are rail-attached robots and automated guided vehicles (AGV). These systems replace the need for human-operated forklifts reducing the chances of forklift accidents. Robots also require a much smaller guidance infrastructure than typical forklift operations. These machines move inventory faster which allows workers to better leverage their time and increases overall delivery speeds. Over time, you can even start to replace your expensive legacy equipment with lower-maintenance picking automation machinery. Picking automation is perfect if you need to simplify your complicated and expensive forklift infrastructure with something more scalable. Optimizing your warehouse can go a long way in helping you secure more capacity. But making these changes by yourself can leave you frustrated and possibly paying more than you should. That’s why it’s a great idea to get help from an experienced third-party logistics company. At CAI Logistics, our expertise and up-to-date knowledge can help you identify ways to make your warehouse operations more efficient. In addition to warehouse upgrades, our expertise can help you optimize your entire supply chain. We take the time to understand our clients' long-term goals and provide them with personalized solutions that solve their unique issues. If any area of your logistics operation could run more smoothly, reach out to us today—we'd love to help you find the right solutions for your company.